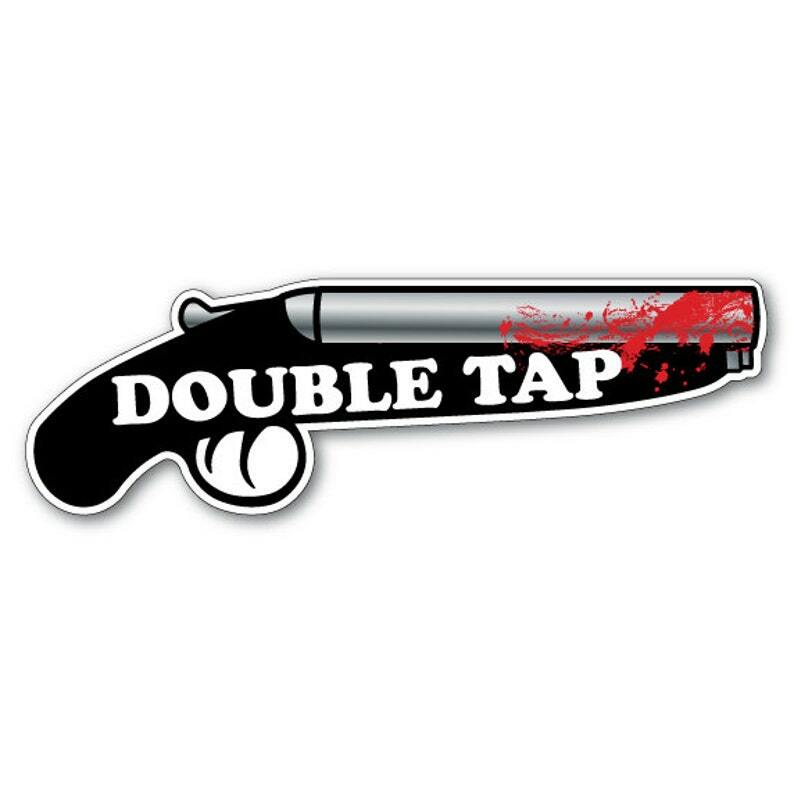 When you're out killing Zombies, always remember the DOUBLE TAP! Made of high quality, premium vinyl. The added clear over laminate protects from scratches and abrasions. Completely weather-resistant, both maintaining the adhesive properties and true colors for years.